The shallow “no plastics” movement seems quite popular recently, despite the lack of facts to justify it. Why? It allows everyone to easily signal virtues. Reusable bags made out of cotton aren’t much better. In addition to the “energy, land, fertilizer and pesticides” needed to grow the cotton, “an avid shopper would have to reuse his or her cotton bag 131 times before it had a smaller global warming impact than a lightweight plastic bag used only once,” the Times reported, citing a 2011 study by Britain’s Environment Agency. 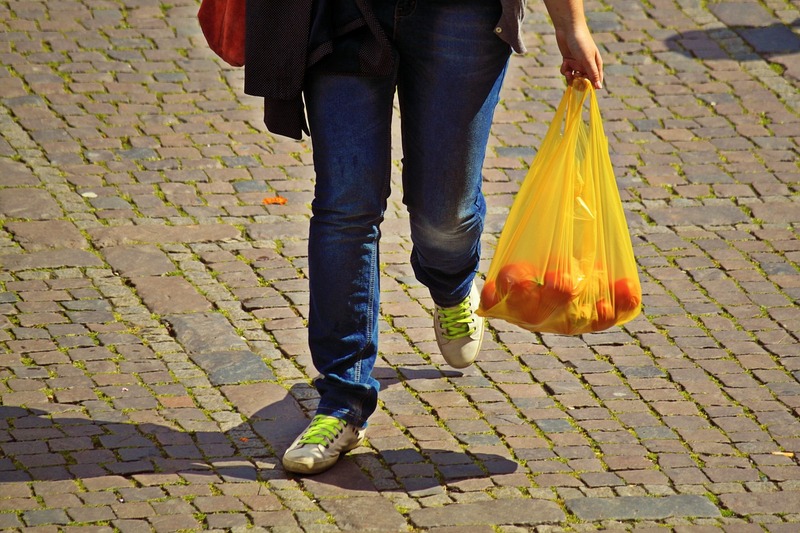 As a growing number of cities and states consider implementing bans on plastic bags, policymakers should consider the unintended consequences of their actions for the benefit of their constituents and the environment. Editor’s Note: I am already thoroughly sick of this “no plastics” virtue signaling. It is a meaningless exercise intended to demonstrate one’s moral superiority and is popular precisely because of its token nature; the fact it requires no real sacrifice. It offers a full gallon of virtue for one short squeeze. It targets the oil and gas industry without, say, having to give up your car. Banning plastics (bags, straws, containers) makes some people feel good and even better when they can tell others just how good they are; all for little or nothing. I suggest, in fact, it’s worse than doing nothing. I don’t like sucking on paper straws that tend to collapse or deteriorate. Also, I ordered a takeout steak dinner from my favorite restaurant the other night. Unfortunately, the owners are now on a “no plastics” kick for some reason. The result? By the time I got home (about five minutes) the juice had seeped through the cardboard. Had the container not been placed in a bag which, ironically, was plastic, my car seat would have been stained. Such is the world the petty plastic tyrants want to impose on the rest of us. There is no aspect of our lives they aren’t desirous of controlling. That’s because they have, if you pardon the pun, very plastic views of liberty, science and virtue. Years ago we were hounded to use plastic bags. Now were being hounded to use paper bags and some states are taxing the paper bags. “Follow the money” is right up there with Virtue Signaling. China puts about 220% more carbon into the atmosphere as the USA does. The USA is the only major economy meeting the carbon goals of the Paris Accords. China puts so much carbon up that it is the leading cause of why 8 of the USAs most polluted cities are on the west coast. China puts 3,500% more plastic into the environment (on land and in the ocean) than the USA does. China has single-handedly wrecked the Pacific Ocean. Virtue signaling is the only reason to protest the environmental policies of the USA. Otherwise a trip to the orient is in order. Good luck with the tanks and re-education camps. There is one thing about plastics that is being ignored: Using plastics and containers for food packaging, the food is most certainly sanitary, which is especially important to people living in poverty and/or in political oppression. Sanitation is no ordinary word. I’m in favor of plastic use for its many advantages over other materiel. But I think the point of the bans are not to minimize global warming. Rather to limit plastic contamination in the environment and harmful effect it has upon living organisms. On a recent trip through west Texas, where there is currently much industrial oil field activity and plenty of wind to blow trash around, plastic litter was everywhere across the country side. I’m sure all of the plastic litter I saw was not from just oil field activity. No doubt some is from residential trash, farm and ranch activity or just trash spillage from vehicles or trash trucks or dumps and people that just litter purposely. There is just too much of the plastic littering the countryside, from which it would be very difficult and impractical to remove it all. This no doubt gives plastic use a black eye. It is not the fault of the plastic, but rather the fault of the users not controlling the litter it produces. More must be done to reduce such plastic contamination in the environment. Either ban its use or somehow motivate consumers to prevent plastic from contaminating the environment. Some plastics cannot be replaced, esp. engineered thermoplastics. Most of these plastics are used in aerospace(NASA) and, military industry. Don’t forget health care and all of medicine.